Sandyholme Holiday Park awaits your discovery with a great location close to some of the highlights of Dorset. Set in Thomas hardy country and flanked by meadows and farmland, Sandyholme has a quiet countryside location in the Purbeck area of Dorset. The network of country lanes, footpaths and rivers are a joy for walkers, cyclist and dog owners. Village fairs, country pubs and farm shops are all waiting to be explored nearby. Sandyholme is a great base from which to explore some of the most iconic places in Dorset including Durdle Door, Lulworth Cove, Corfe Castle, Weymouth, the county town of Dorchester, The Tank Museum and Monkeyworld. The coast at Ringstead Bay is just a 5 mile drive. Sandyholme is a small park with friendly wardens, a children's play area, a wildlife lake, a small shop and a playing field. There are new and pre-owned Caravan Holiday Homes for sale with a 9 month season. Please call, email or drop in to talk to the team at Surf Bay Leisure to arrange a visit to the park for further sales information. 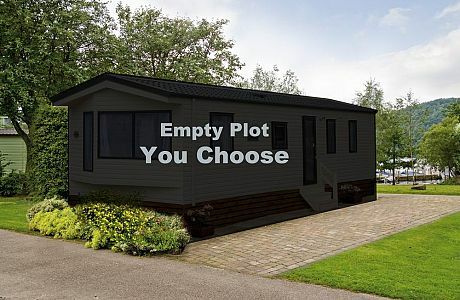 Vacant plot available at Sandyholme Holiday Park with views of the countryside.